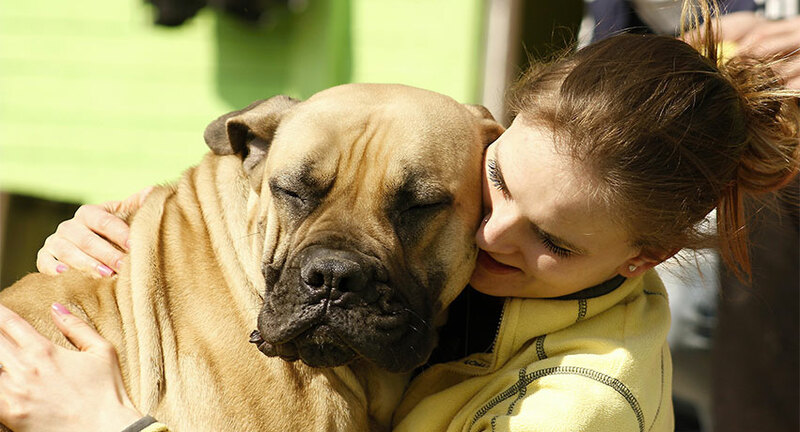 The Mastiff breed is known to shed more than the average dog. While they are not the worst shedders, you might find yourself feeling overwhelmed with the amount of fur you will find on a daily basis. That is why we are here to help you learn how to manage and control the hassle. In this guide, we will show you some of the best ways to help manage shed and keep your sanity. 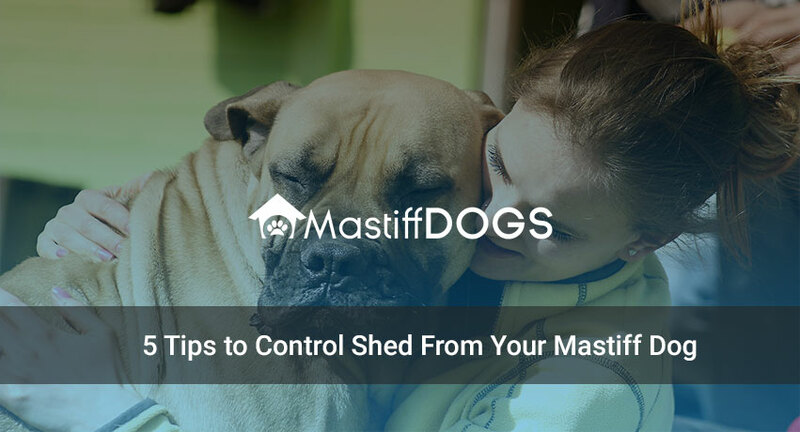 Here are 5 tips to control shed from your Mastiff dog. Without real meat, your dog’s skin will become dry instantly. To help prevent the onset of shredding, offer your dog quality canine food with a combination of real meat found in dry kibble and canned food items. These options will give your pup the nutrition they need to keep their fur shiny and healthy. Also, be sure to keep your dog hydrated to prevent dryness. The occasional human food such as apples, carrots, eggs, and even natural peanut butter are great additions to their diet. Just like humans, animals need as much water as we do. This means that we must provide them with access to fresh, clean water all day long and change their water once a day. This will help ensure that your dog have clean water without any bacteria growth in it. Stay alert and keep the water in a clean area. Otherwise, you might increase the risk of contaminated water and make your pup sick. Include flaxseed and olive oil to their canned food. This will help prevent dry skin that promotes shedding. Instead, the oil will help nourish the skin. Just be sure to consult with your vet first. If you are unsure of feeding your dog oil, you can always give them natural omega-3 rich foods such as fish that includes tuna or salmon. Always be sure to use the right brushes for your pet. Otherwise, you may end up hurting them. If you are unsure, you can always ask your vet what they need. With the right tools, you can groom your pet on a regular basis and brush their fur to remove any tangles and remove all loose hair. Keep in mind that not all dogs require a weekly bath, or even month for that matter. Some dogs don’t even bath for months at a time. While you might want to schedule your bathing schedule, be sure to find out what will work best for you and your dog. Too much bathing can lead to dry skin and result in shedding. However, bathing will help keep the fur clean and control excessive shedding. 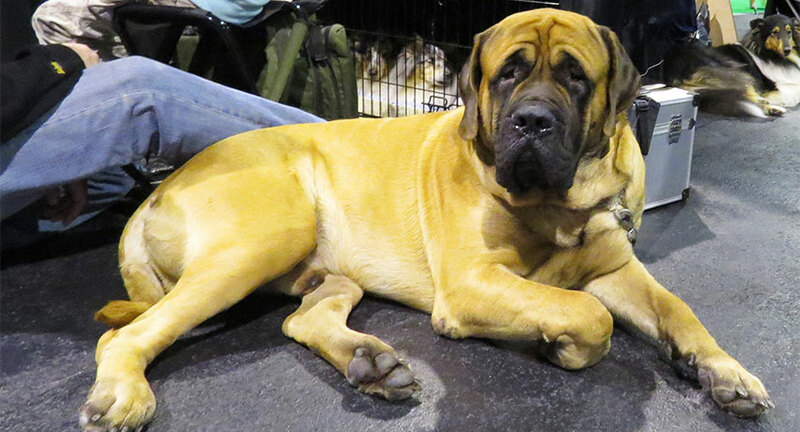 Follow these tips to help you control shed and manage your furry Mastiff dog. Remember, just a few daily habits will help you break the annoying shed habits and live a happier life with your pet.